11:59 PM EST April 5th, 2013 has passed and Regulations.gov appears to still be accepting public commentary, so you have another 11 hours or so to say your piece online. [Update, comment period has now closed, you can view the document and public commentary here] In light of this one last chance, Julian Sprung, well-known author, MASNA Aquarist of the Year, founder of Two Little Fishies, and a member of the CORAL Sr. Advisory Board, shares his opinions on why failing to speak up isn’t an option. In early January Dustin Dorton and the owners of ORA organized a meeting at ORA with people from NOAA and a group of people from the aquarium industry, from PIJAC, from the University of Florida Tropical Aquaculture Laboratory, and the Florida Division of Aquaculture. I was also invited and was glad for the opportunity. It was an extremely informative meeting for everyone. There were a few key take-home messages. 1. It appeared that this train (ESA listing of corals) was not stopping. 2. The room for control in making a decision is set up by the structure of how ESA implementation works, not by any individuals at NOAA. As they put it, our agency (NOAA) does not have the discretion, only the ESA sets the rules. 3. Public commentary should focus on factual errors in the literature cited in the proposal, and should bring to light any new data from the scientific literature. Public commentary regarding the collateral impacts on industries affected by an ESA ruling have no influence on the decision, because that is the way the ESA is written. They put it this way: Our comments should focus only on whether a particular species is threatened or not. They should not focus on whether NOAA should or should not list. This of course puts the position of public commentary for the most part in the category of useless. Does the general public have the qualification to discuss the threatened or endangered status of specific coral species? 4. Although a read of online information about the ESA suggests that any listing of corals as endangered would make possession of them illegal, the representatives from NOAA assured us that a listing as endangered would not prohibit the keeping of those corals already in aquariums. It would not criminalize our hobby. What it would do is prevent the TRADE of corals listed as endangered. That means no import no export no sale. It was a little unclear whether that also meant no in-kind trading. Basically this threatened the farmers, shops, frag swaps, and any form of business engaged in the commerce of corals, in the USA. By contrast, a listing as threatened would not prevent commerce of those species. Given the conflicting information out there, what do you suppose would happen if corals were to be listed? 5. We were told that NOAA had the ability to control the activity of the US Fish and Wildlife Service at the USA ports of entry, so that FWS would not utilize any ESA listing as a reason to shut down coral imports. Do you believe that? Scientists have already pointed out a broad range of errors in the science used to support the ESA listing proposal, and the statistical methods used. New data has also been presented. Evidence from the scientific literature has been presented that shows the premise of the need for listing any corals is in error. Comments have already been submitted about the status of individual species proposed for listing. While it canʼt hurt to add more to that in the few hours that remain for public comment, and there is no shortage of areas to explore for finding error, I believe that enough is enough. I am not proud of the letter I wrote. There are many very good scientists at NOAA. I donʼt wish to offend them but I canʼt help but be offended by what is happening, and felt the need to call what I see. Why should NOAA tell us that we cannot question the use of the ESA for coral conservation? Who are we really talking to with this public commentary? The ESA is not an agency, NOAA is. Are their hands so tied by the ESA structure and the petition submitted by a litigious Center for Biological diversity? Do you support the premise of the Endangered Species Act? I do. What I donʼt support is misuse of the act, and misuse of science for a policy agenda. Aquarium hobbyists are encouraged to submit their written commentary to NOAA. Download or View Julian Sprung’s public commentary as submitted. 1. Aquarists shouldn’t get their hopes up that Threatened status will not have an impact on aquacultured corals. 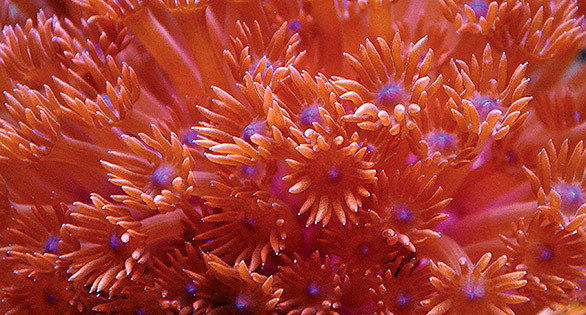 NOAA would have to publish a 4d rule to allow the trade in aquacultured corals if they determined it was in the interest of the continued survival of the species. NOAA also has the option to use a 4d rule to enhance the protections offered under the ESA. They did this with A. palmata and A. cerivcornis when they were listed as Threatened, essentially offering them all of the protections of an Endangered species. We have received conflicting information from NOAA about the 4d rule process. Initially we were told that each species must be evaluated independently after the final decision was made to list. We were subsequently told that NOAA had the authority to issue a blanket 4d rule for all of the corals in the listing. The timeline for the 4d rule is also unclear. 2. A number of people have argued that the listing is crazy or somehow unenforceable because of the difficulty in identifying corals. This is a very dangerous point and NOAA has a solution for it. When it was brought up during a meeting with NOAA we were told they had the authority to list any species as threatened or endangered if they are similar in appearance to an ESA listed species. This can be done to avoid confusion and protect the species of concern. Worst case scenario here is that these 66 corals get listed and ALL similar looking corals (we could be talking about ALL species of Acropora, Montipora, Anacropora, Euphyllia, Pocillopora, Seriatopora, Acanthastrea, Porites, Pavona, Caulastrea and many others) get listed along with them.